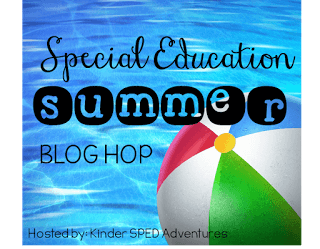 In today’s installment of the Special Education Summer Blog Hop, I want to share two tips for special education teachers that you can use to start your year off right with the families and students in your special education classroom. I’ve included two tips for the families as well. Building relationships with families is so important in our job that you really want to make sure you get started on the right foot. Families are typically nervous about changes to their child’s classroom placement and program. There is always apprehension about the skills of the teacher, how he or she will interact with their child, and how he or she will communicate with them. This is completely understandable and not that different than what parents of typical children experience. And for that matter, it’s not that different than what teachers often experience in meeting the children and their parents. So, here are two ideas (including a freebie) that might help you start off together on the right foot. Does your school have a time when students and families have the opportunity to come in and meet the teacher and see the class? 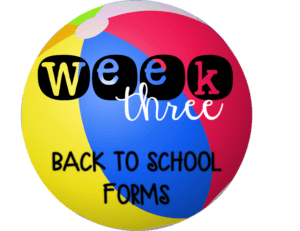 Many schools provide this time when the families get the assignments of the teachers just before school starts. Many of the students we work with may have an extra time (with less crowding) to come in and walk through the school, meet the teacher, etc. to help them transition. For students who are returning to the same teacher this may not be a big deal, but this is often something we do when students are transitioning to a new class or a new school. This is a time for the student to get to meet new people and see the new environment and a time for families to talk briefly with the staff. I say briefly because typically these are not set up as parent-teacher conferences, so time is typically limited. Tip for Teachers: This time is a great opportunity to share a social narrative (story) with families about returning to school. I’ve offered several this past year that you all seem to like in which the student colors in and makes the story their own about breaks, etc. So, I made a similar one that you can download here and fill in the relevant information. 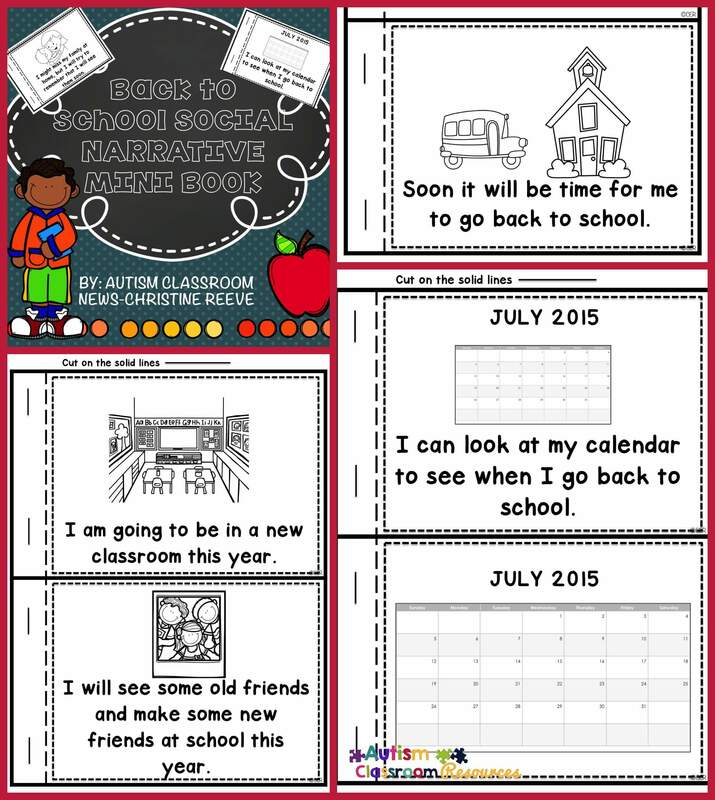 This social story is pretty general but includes a calendar for the student to mark when he or she will come back to school and what coming back to school after summer vacation means. There is a place for the teacher to write his or her name and the student to draw a picture or the teacher to add in photo. In addition or in place of this more general social story that students can take home, you might want to make a “people in school” book. That book would just be a book of pictures of the staff that the student will come into contact regularly (if the school is new). This is my teacher, Ms. Reeve. This is my speech teacher, Ms. Smith, etc. This will help to personalize the book and help them get to recognize the people around them. Tip for Parents: If the teachers haven’t put together something like this, you can download the social story and use it with your child. You can also ask the teachers when you meet them if it is OK to take a picture of them. 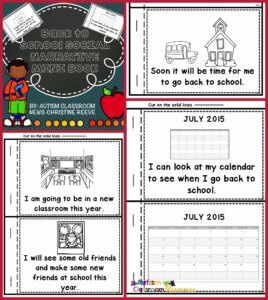 You can then make a book (with a story app on a tablet or by printing them out) to share with your student to get them ready to go back to school. The second strategy you can use as a teacher is to share your home-school communication system with the family when you meet them. It’s difficult for our families because many of their children can’t talk about their day or even answer questions about what they did or what happened during the day. This increases the need to provide them with this information in a way that gives specifics about the child’s day. Also often our kids have difficulty at school, and sometimes parents feel that the only time they know what happened at school is when something bad happened. It’s important that we all celebrate the good things that happen at school. So, while it’s important for families to have clear communication from school, it’s also important that the time to provide that communication doesn’t take away from time teaching the students. Something like the home note from my store above provides a check-off system with comments that can be used to share specific information. You can read more about them here and click on the picture to see them in my store. One of the other parts of this system is to include an information system that goes both ways–a way for school to provide information to home and the way for families to share information to students. A note like the one above that families complete, even if just after a weekend, can help the teacher to know what questions to ask, what answers are accurate, and just generally how things are going at home as well as whether there are any concerns to watch out for. Tips for Teachers: It doesn’t matter what format you use, you want it to be easy to complete and to share information two ways. If you are a teacher, share how you communicate with families when you meet them. If you use a note, give them a copy and explain how it works. Ask families what they want in home-school communication and share that you would like to get information from the families. See if you can customize your system to information that parents specifically want to provide them with the information they feel they need. 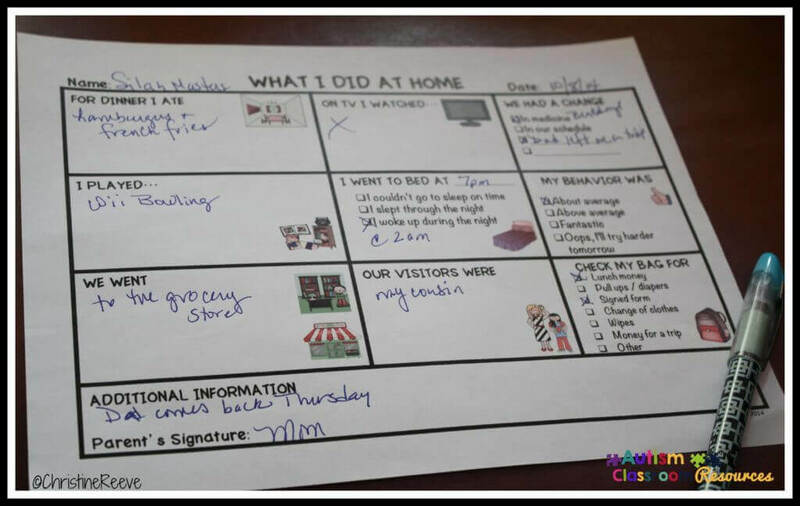 This doesn’t mean an individual home note for every child but individualized comments on specific areas of the day would make sense. Tips for Families: If you are a family member, ask about how the teacher communicates with families. Ask if there is a way for you to communicate information back to school and what type of communication and information would be helpful to the teacher. Share if there is specific information you would like to know about your student’s day. And finally, please understand if the teacher cannot write down everything the child does all day long. 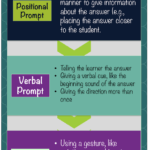 They need to be working with your student and their other students and there is limited time they can be away from students writing notes and still be an effective teacher. If there is specific information you need that is lengthy to record, consider a compromise like a weekly note with that information or a quick email two times a week with that information. So those are two back to school tips that you can use to start the year off right by building relationships with students and their families. Click the link below to download the free social narrative to share with families. How do you work to build trust with your families (or teacher) at the beginning of the year? Please share in the comments. And after you comment and download the freebie, be sure to hop to the next blog at The Organized Plan Book! 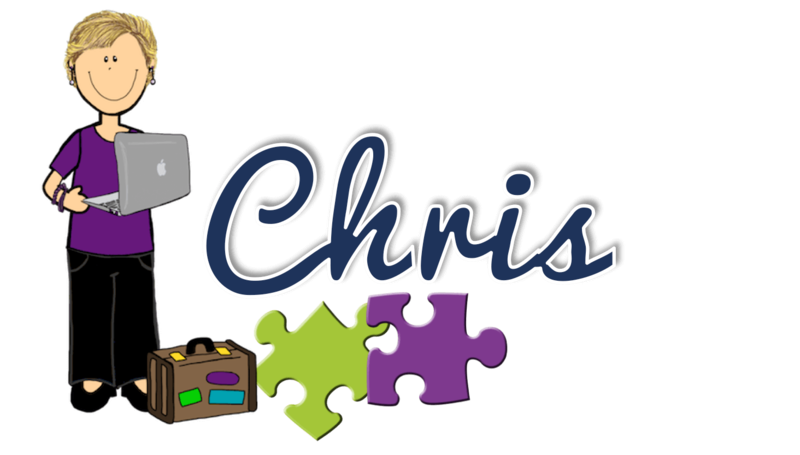 As always, Chris, I love your resources! 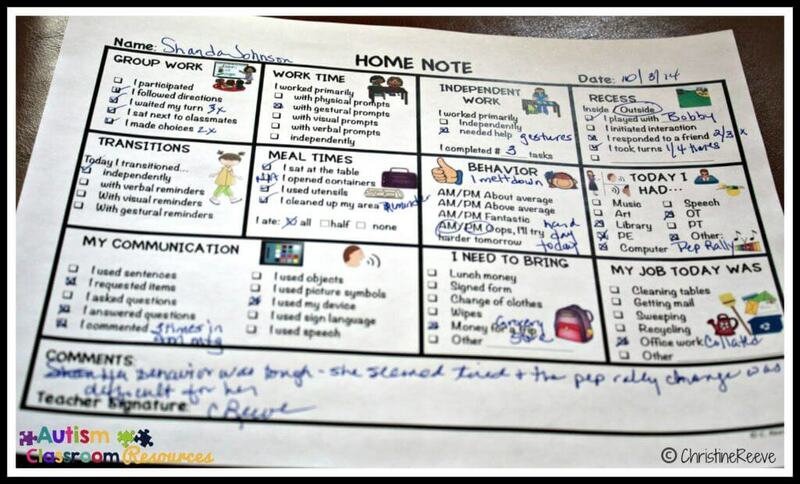 The home-school communication note is unique. I’ve never seen so much information conveyed so quickly and easily. Do you find your parents like it or do they get overwhelmed at the amount of information presented? 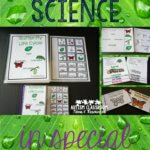 I find most of the parents really love the home notes because they give more specifics and they have pictures to help the students talk about their day. I have had some parents who said that it was difficult to get that much information each day, so there is a weekly note included with the daily ones. Chris, I love your posts. They are always relevant and helpful. I keep sharing with the teachers I work with. I think the Back to school stories is a wonderful helper. Everyone is sharing summer vacation stories; our kids need to be able to do so, too. Great meeting you tis past week. It was great to meet you in person too! Thanks so much for your support and sharing the blog! Hi Chris! I tried 2 other home-communication forms last year before finding your TPT product. Yours conveyed precisely what I wanted to share with parents on a daily basis and parents appreciated the daily feedback. (My student population is largely nonverbal.) This year, I plan to put together home-communication binders for my students that have a month’s worth of your school-to-home communication sheets as well the forms for parents to communicate back to me. Thanks for the back to school social story! Thanks Pam! I am so glad they work for you!! I love it all! I really adore the social story! I really, really, really like the communication forms but they also make me nervous! I want to communicate all that information to parents but I worry that I won’t have the time. I have 14 kiddos this year! However, I am going to give it a try! Thanks for sharing! Hi Breann, I hope they work for you. Sometimes I find ti easier to fill in things ahead of time that I know will happen, like which specials they have each day. Good luck and let me know how it goes! This post has some great tips! It is soooo important to have good communication with parents, especially with parents of children that have trouble communicating on their own. I also send home daily communication notes with some of my friends. I like how yours have the check boxes…so quick and informative! 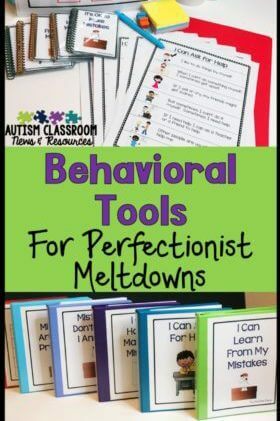 I am new to teaching ASD classes. 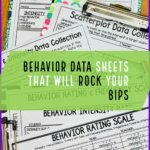 I stumbled across your blog and just in awe of all you have for resources! I have purchased several things of yours so far from TPT. I love your printable back to school book, but am having a problem printing it. The pages come out very large. Any tips? Hi Michelle, thanks, I’m glad it’s been helpful. For the printable back to school book- make sure you are opening it in Adobe Reader and then click “fit to page” when you get to the print dialog box. That should take care of it–if it doesn’t let me know. I am looking at trying the home to communication piece to get my parents to communicate more information that would alter a students day, but is it worth all the paper and do your parents like it? I find that most of them really like it. And if not you can always try a weekly option. If you are worried about paper, my notes actually can be completed on the computer and emailed home if the family has email. I’ve found that the majority of families really appreciate the information coming home about their child’s day. Hope it works! !